Award-winning comedian and writer Sarah Millican is back with a brand new show! You’ll learn about road rage, Rescue Men, farting in hospital pants, what can happen at a bra fitting, how to tee up a compliment, plus tips on knicker buying and how to talk to shop assistants. Following on from her fifth sold-out UK tour, Control Enthusiast marks ten years since Sarah established herself as one of the leading lights of the British Comedy scene by winning the Best Newcomer Award at the 2008 Edinburgh Fringe. 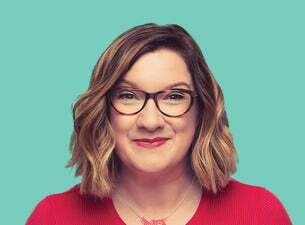 In the subsequent years, Sarah has gone on to host three series of her critically acclaimed BBC2 series The Sarah Millican Television Programme, for which she received two BAFTA nominations and has become a familiar face on primetime shows such as QI, Live at the Apollo and The Royal Variety Performance. Don’t miss the hilarious and wonderful Sarah Millican LIVE in New Zealand!